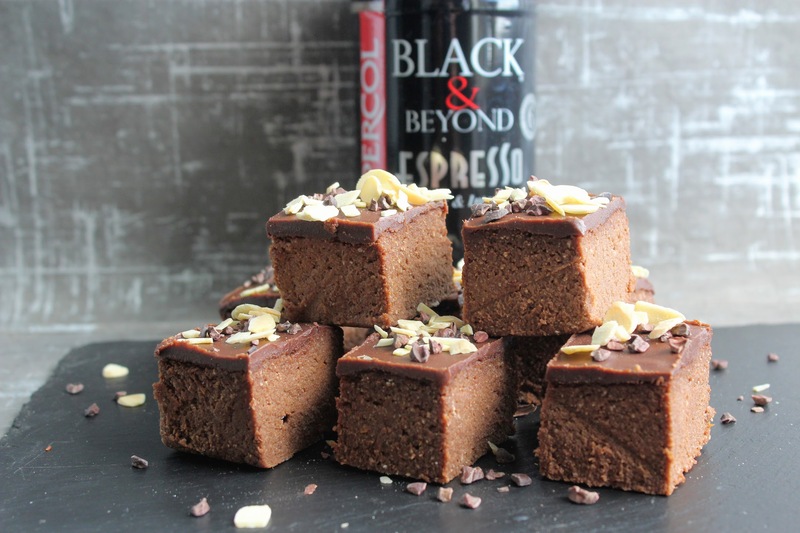 Coffee and chocolate go hand-in-hand in drinks and sweet recipes, resulting in a rich and flavoursome experience. 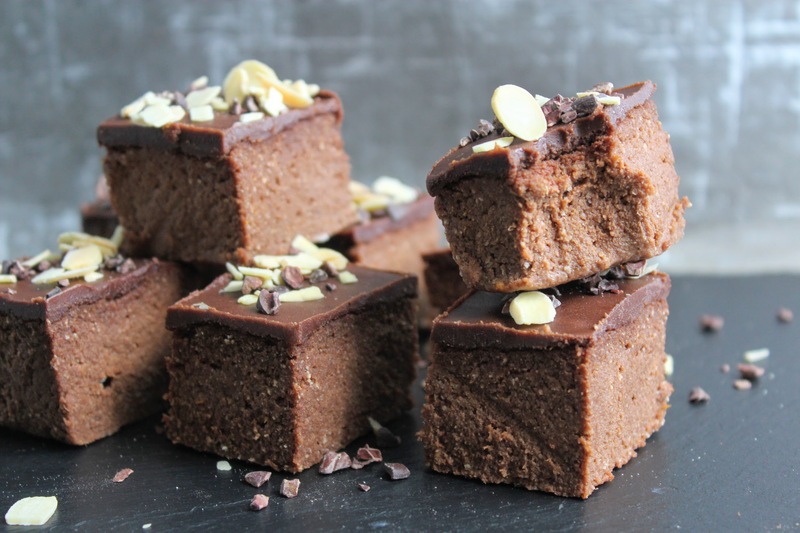 For my latest recipe working with Percol I wanted to combine the two together in an easy, no-bake recipe for an indulgent but healthy sweet treat – so say hello to these squidgy, dense brownie bites made from…sweet potatoes! 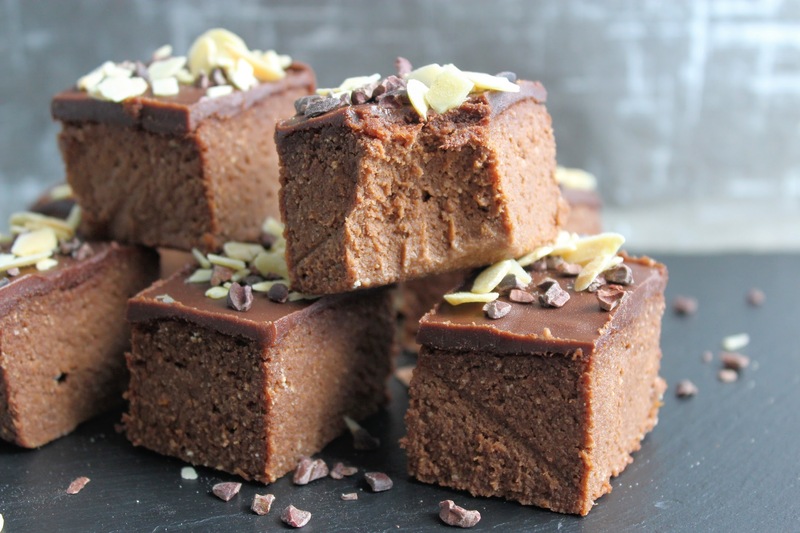 Yes that’s right – this provides the most delicious texture while the other ingredients allow the brownies to effectively set in the fridge. Enjoy! 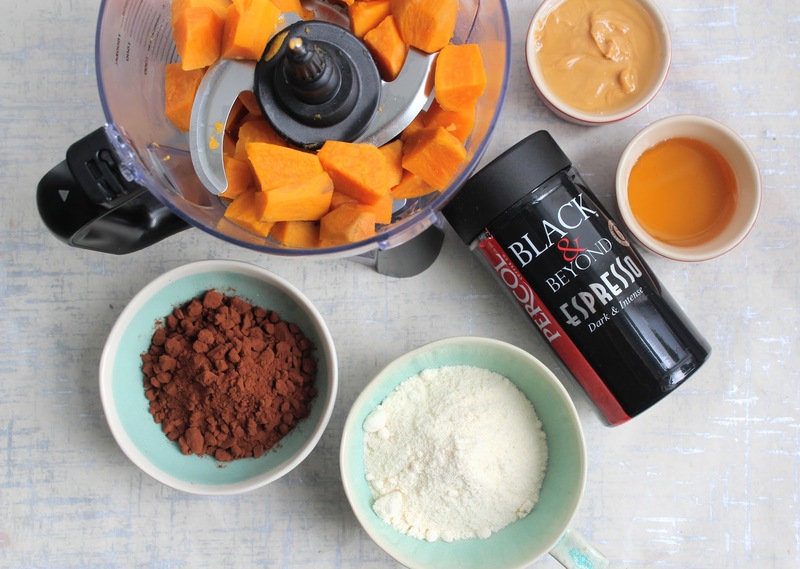 Simply place all of the ingredients for the brownies into a food processor or blender (I use my trusty Ninja Kitchen Nutri Ninja) and whizz up until quite thick and smooth. Scrape out and spoon into a lined tin or tupperware box and spread out evenly. Chill in the fridge while you make the topping. 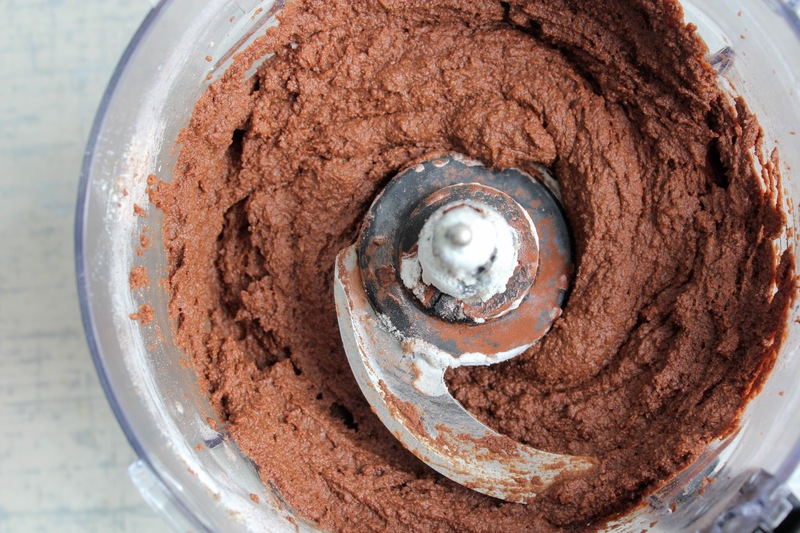 Melt the coconut oil, nut butter and maple syrup, then whisk in the cacao/cocoa powder, vanilla and salt until smooth. Pour this over the brownie mixture evenly. Return to the fridge for at least 4 hours to set. When ready, carefully remove and place on a chopping board and cut into squares. 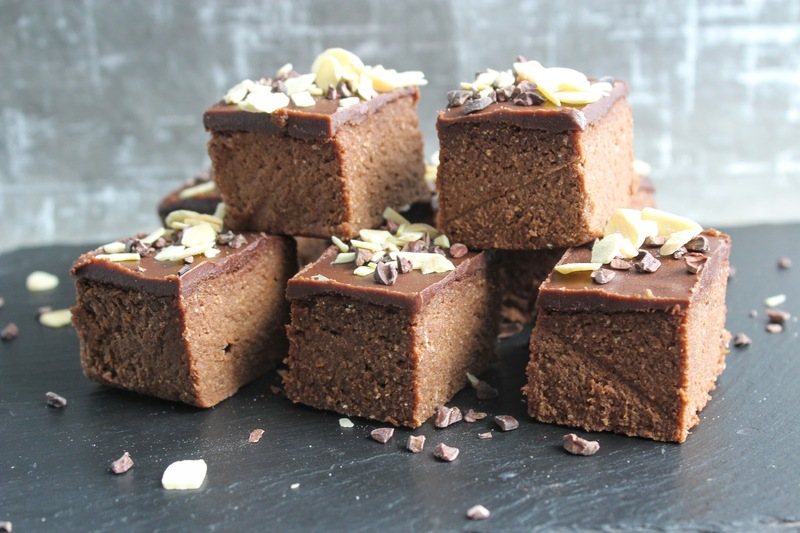 Top with cacao nibs and flaked almonds – then enjoy!